Good governance demands adherence to social responsibility coupled with the creation of value in the larger interest of the general public. India Glycols is committed to the sustainable and integrated development and upliftment of the communities in and around its facilities. The companys directors and employees contribute time and resources to further the companys various CSR initiatives. 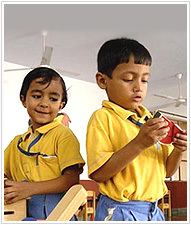 IGLs activities begin in and around Kashipur (Uttarakhand) in the areas of health, education, welfare and environment. IGL organises medical camps three days a week where villagers can avail of medical assistance, free of cost. IGL actively participates in organising blood donation camps, facilitating tree plantation, facilitating the construction of roads, bridges and drains and installing street lamps and hand pumps for drinking water in areas around the companys facilities. The company also extends support to victims of monsoon floods, and participates in other initiatives like distributing blankets to the poor during winter, promoting sports and socio-cultural activities in the state, supporting the local administration in fighting and managing fire accidents and other disasters that occur in the areas neighbouring its plants. The company has also sponsored a faculty position in the Herbal Research and Development Institute, Centre of Aromatic Plants, Dehradun, to promote herbal development in the state of Uttarakhand. India Glycols extends educational and on-job training to students of many professional institutions such as The Institute of Company Secretaries of India, The Institute of Chartered Accountants of India, and professionals from many other management and engineering institutions, thus helping young professionals gain a foothold in the industry.